If you’re not pleased with the water quality in your house, water filtration systems for problem water can help address your concerns. Problem-solving filters are available to resolve a wide range of issues, including chlorine, sulfur, and volatile organic compounds. 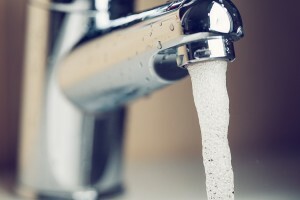 By investing in a well-designed water filtration system, you’ll know that whatever comes out of your tap is top quality and refreshing to use. Sediment filtration systems – these help reduce dirt, sand, silt, scale, and rust that can give your water a dirty or “chunky” appearance. Carbon block filtration systems – these help remove chlorine, VOCs, and other additives and impurities that can make your water less than ideal to drink. Specialty filtration systems –these help address water quality issues like trace metals and minerals, which can cause undesirable flavors or odors. Most filters last for two to three years, although some may need to be replaced on a yearly basis. However, the majority require little to no regular cleaning or upkeep. Simply turn on the faucet, and know that the water that comes out is ready to bathe in, clean with, or cook with. Most problem-solving filters can be combined with water softeners and drinking water systems for a total water treatment package. However, each household requires a different solution, so it’s best to request an in-home drinking water and water hardness test before investing in a filter to ensure that the technology you get is the technology you need for your water’s specific problems. RainSoft offers a complete selection of water treatment products that are designed to improve the water in your whole house. Water filtration systems are just one of the options we provide. For more information about our filters, softeners, and drinking water systems, call 1-800-RAINSOFT today.